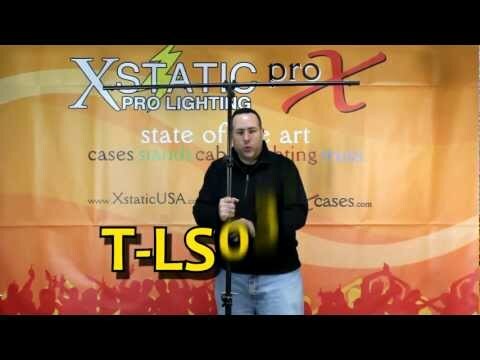 The ProX T-LS03M-9FT Lighting Stand Tree is a black, all metal design high quality 9 ft Lighting Stand with tripod that features a single square T-bar and the hanging bolts supports included. This is easy to transport and it can hold up to 50 lbs. Maximun Load Capacity 50 lbs. Always use safety cables or chains on all equipment on trussing. Exercise caution when loading this or any ProX truss system. Be sure to evenly distribute your fixtures or equipment for safety. Always use a safety cable or chain on all mounted fixtures.